Dr. Chichester in a BVI Health Services Authority report explained that a heart attack is the death of the muscles of the heart which has significant implications for its functioning. According to Dr. Chichester, a heart attack can manifest in different ways and persons should be aware of the following symptoms such as chest pain, pain that radiate in the left upper jaw or down the arm, nausea, sweating profusely and feeling like the heart is racing or that the heart beat seems to be stronger than normal. Persons exhibiting these signs should seek medical attention immediately. Meanwhile, the BVI Health Services Authority is continuing its cardiovascular education programme by highlighting heart attacks as part of activities leading up to the Cardiac Symposium scheduled for Saturday, February 16. 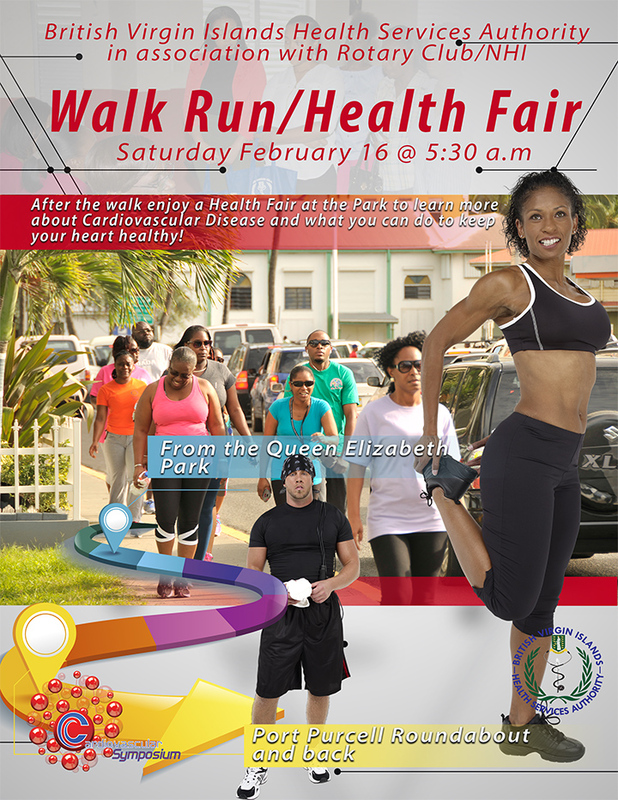 Residents are encouraged to support the symposium activities on Saturday February 16 at 5:30 a.m. with a walk/ run from the Queen Elizabeth II Park to the Pasea Roundabout and back to the park where a health fair will be held. Persons will learn more about cardiovascular diseases and receive free health screenings. The symposium will begin at 11:00 a.m. in the lobby of the new Peebles Hospital. The aim of the upcoming event is to bring awareness to the impact of the disease in the Virgin Islands and the Caribbean and also to update medical professionals and patients on the latest management strategies.